In this paper, first, cobalt ferrite and cadmium sulfide nanostructures were synthesized through precipitation method. Thereafter, CoFe2O4 nanocomposite as core–shell structure with magnetic cobalt ferrite core and cadmium sulfide shell was synthesized through chemical method. Afterward, the effect of the synthesized nanocomposites along with rice husk ash microparticles (RHAMPs) on the mechanical properties of epoxy resin (EP) has been investigated. Epoxy resin (Epikote 828) and polyamine hardener have been used to prepare the nanocomposite samples. CoFe2O4–CdS nanocomposites with weight percentages of 0, 0.5, 1, and 2% mixed with 3% of rice husk ash microparticles (RHAMPs) were distributed inside the epoxy resin (EP). The prepared products were characterized by X-ray diffraction (XRD) and scanning electron microscopy (SEM), Fourier transform infrared (FTIR), and alternating force gradient magnetometer (AFGM). The mechanical properties of the epoxy nanocomposites/RHAMPs were also determined using uniaxial tensile standard and three-point bending tests. 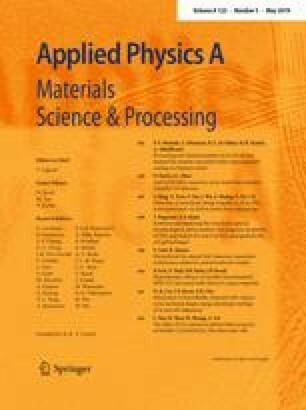 The results associated with the mechanical tests also showed improvement in tensile modulus, bending modulus, and strength of epoxy resin by adding nanoparticles along with rice husk ash to the epoxy matrix.